Northern Hardwood Company installs hardwood basketball courts and hardwood gym flooring for residential and commercial properties. Northern Hardwood Company, located in the greater Seattle area serves Washington, Oregon, Montana and Idaho. Contact us today for a free sports flooring estimate. 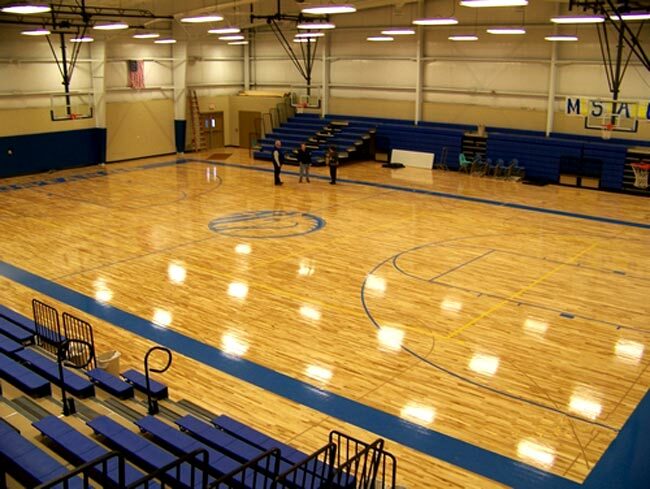 We make it easy to build a hardwood basketball court and basketball gym flooring for schools, churches, recreation centers and private clubs. Our experienced installers can custom-design your hardwood basketball court to fit into any size space, budget and activity level. And with Northern Hardwood Company you know you are getting the industry standard for sports flooring.